We don’t watch a lot of TV around here because *gasp* we don’t actually have a TV. I know, that’s shocking to most people. I watch TV through the Internet or via my USB TV receiver. That doesn’t mean we don’t watch shows, we are just very very selective about them. Usually, it involves some kind of buzz that makes us pick up a show. Today I would like to give some buzz to a show so that more people start watching it, because it’s utterly compelling and fantastic: Orphan Black. We are absolutely thrilled that after waiting since summer we finally get to watch this show again. So should you, and here’s why. Sarah Manning and her clones. Clone Club! Do you enjoy science fiction with many twists and turns, a show that always leaves you guessing? That’s exactly what Orphan Black is. Vaguely set in Toronto, Canada but could be any large western European city, we are introduced to Sarah Manning, drifter and con woman with punk looks. She has a daughter she is not allowed to see, and a foster brother Felix, her flamboyant and very gay sidekick. At the start of the show, Sarah spots a woman who looks exactly like her committing suicide by throwing herself in front of a subway train. Instead of being horrified by this, she seizes the opportunity to loot the woman’s stuff. As the woman looks rich and exactly like her, Sarah does what con women apparently do: assuming the identity of the deceased. Too bad that it turns out that the deceased was Beth, a cop. To add more stress to the situation, Sarah runs into more women looking exactly like her, all clones, and someone is chasing the women and trying to kill them, one by one. There are multiple groups interested in the clones. The Neolutionists who believe in pushing the limits of human evolution, and opposing we have a religious movement opposing them. It’s a struggle, there are watchers, and it’s hard to know who’s on what side. Sound crazy and confusing? You bet it is. It’s also awesome, and it’s mostly because Tatiana Maslany is awesome. She has by now been awarded several prizes for the role, and justly deserved. In season 1 we saw her play seven different clones, and there is no question that she’s undeniably giving every clone her personal touch. Alison is a psychotic soccer mom, Cosima is the adorable science geek, Sarah is the tough as nails fighter, and then there is Helena. It gets totally crazy when one of the clones poses as one of the other clones. It always surprises. Supposedly, there will be more clones in season 2. Sheeeesh! As bonus for Schmitt and I, there’s also a lesbian love story (or is it? ), and you can believe me, I do totally ship Cosima and Delphine. Hot French lady and totally adorable dreadlock geek? I’m aboard ship Cophine. Hm, or maybe Delima? 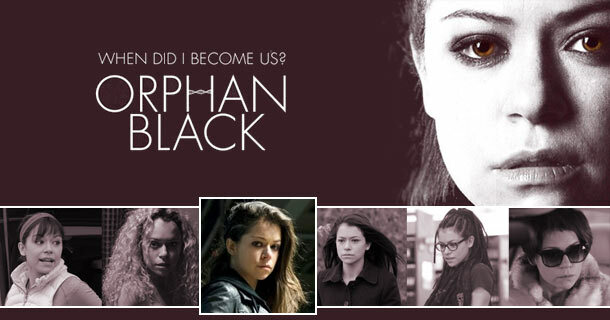 For me, Orphan Black had the Heroes effect. Anyone remember Heroes? That trainwreck of a show that ran on NBC for four seasons and was based on supernatural powers in normal people? We were totally hooked on that show. I still fondly remember the first season as some of the best television I ever watched. We watched this show with great excitement, and the twists and turns just kept coming. Then season 2 started and we gave up on the show a couple episodes in. It was slow, boring and lacked all of what originally made it compelling. The first season of Orphan Black had me similarly surprised and fascinated, and thankfully, the season opener continued just as the show had ended, very strongly. Here’s to hoping that we’ll get 9 more awesome episodes. Tom and Lorenzo seem to be agreeing with me, and also make a fantastic case for picking up this little show that could. As far as I can tell, Amazon has the full first season of Orphan Black up as video for Prime customers, and once you have binged on that, you can watch the first episode of season 2 on the BBC America website. This is the official BBC America wallpaper for season 2. Exciting. Mrs. S. has a rifle, whoa. TLDR: if you are interested in very cool sci-fi shows that the masses might have passed by for now, please try Orphan Black. It’s awesome and intriguing, and it has a clone club. 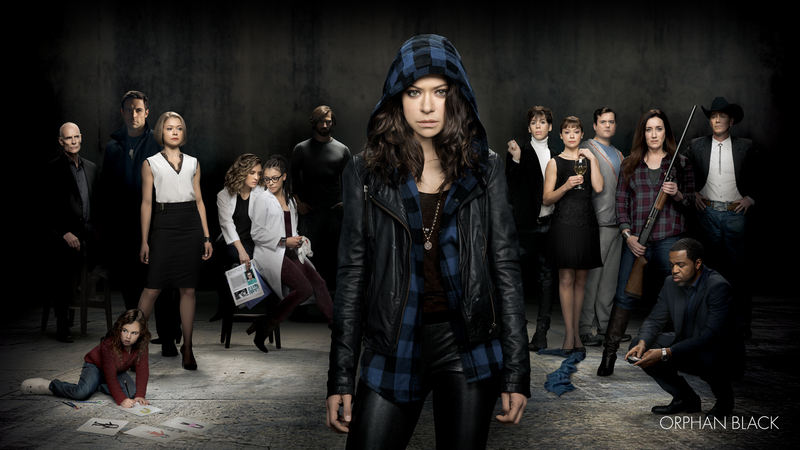 I also loved Orphan Black – I cannot recommend it highly enough. Tatiana Maslany deserves every award she gets. I was amazed at how she develops distinctly different characters for each clone. I was blown away by her acting skill as she played one clone pretending to be another. When does Series 2 start to air? It started airing on BBC America last week, runs on Saturday night. I love Orphan Black. The chemistry between Sarah and her brother is amazing. I genuinely don’t understand how they do those scenes where one clone is interacting with another. Do they film Tatiana playing one role arguing with a bluescreen or a script reader then film another bluescreen of her playing the other person in the argument? If so that’s amazing because some of the clones have a believable and consistent chemistry with each other that is distinct from their relationships with other people. For instance soccer mum and punk always strike sparks off each other and neither acts quite the same way with anyone else. Anyway it’s currently on BBC iplayer for those with access to that. The BBC America site did a lot of insider videos and blogs along with the show in the first season. Highly recommend checking that out. They also included a video where the filming of a three clones in one scene is demonstrated. God, I love that series. Orphan Black, not Heroes.